ARF: This is your second year with us. How do you feel when you're here? 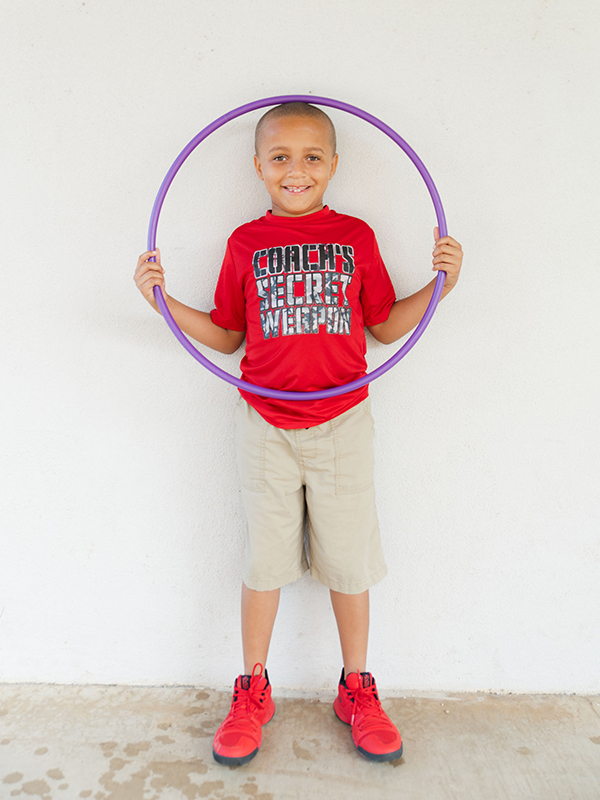 Josiah: I feel happy because when I use to not go to the camp I had to sit at the house bored every day. ARF: So, the camp is not boring! What do you like about it the most? Josiah: We do fun stuff, like projects. We make cool art stuff. ARF: What's been your favorite activity, and what did you learn? Josiah: We made the ocean (pointing to a large piece of blue wall art) with a lot of people. I learned to share because we didn't have enough stuff for everyone to have their own, so we had to share. ARF: Did you read any books you liked this week? Makayla: I read Dogman. It's about a dog who's a super hero and a police dog. The dog and the policeman capture some robbers. It's a very long story. ARF: What do you want to be when you grow up? ARF: Wow, a baker! Have you baked or cooked anything special at the camp? Josiah: I made a smoothie. I put three scoops of oranges, five scoops of strawberries, five scoops of bananas and a little bit of ice. ARF: Can you tell me about your field trip last week? Josiah: Oh, we went to this thing where you ride boats, and there's a glass at the bottom of the boat where you can see lots of fish in the river. My favorite part was going the museum where we played with sand and saw turtles and fish and lots of stuff.